9/11, 7/7 & the War on Freedom :: View topic - Apollo Moon Landings Faked? 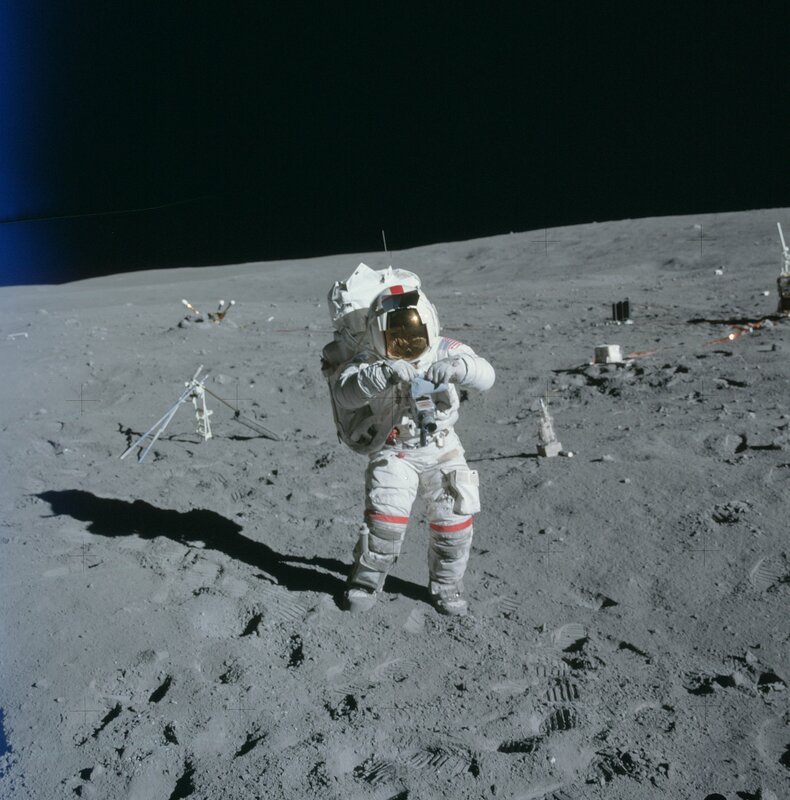 Were The Moon Landings Real or Hollywood? I Neither Know Nor Care! What Has This Poll Got To Do With 911? 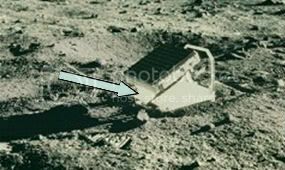 Posted: Sun Mar 11, 2007 10:41 am Post subject: Apollo Moon Landings Faked? This is the subject everyone was brought up believing and it's hard to imagine the alternative truth that perhaps it didn't happen. 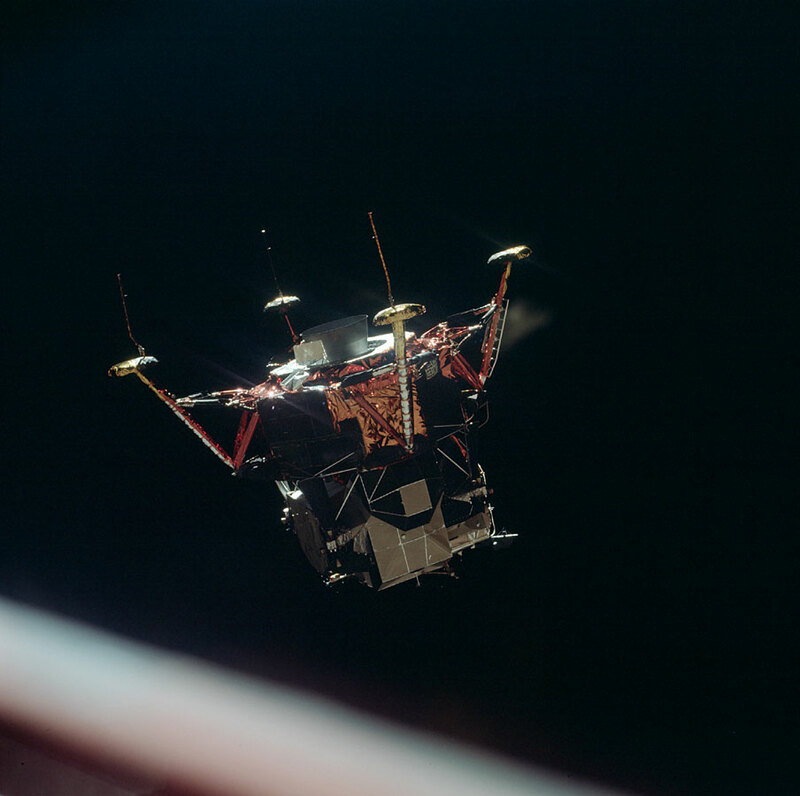 For me the real eye opener was watching "Something funny happened on the way to the moon" where you see the astronauts faking their distance from the earth, making it look a lot smaller through the windows and thus farther away. . .
You have to ask yourself... why would they do that? So yeah, more and more I'm coming round to the fact that there is summit up with the whole thing. Posted: Sun Mar 11, 2007 10:55 am Post subject: Re: Moon Landings Faked? That is rich coming from a plane hugger. Anyway, can we get rid of this moon fake foolishness? Who cares if they landed or not. I am more interested in sorting out this cesspit planet of ours first. Posted: Sun Mar 11, 2007 11:18 am Post subject: Re: Moon Landings Faked? Posted: Sun Mar 11, 2007 11:38 am Post subject: Re: Moon Landings Faked? If you are going to say something, say it. Dont f-ucking star it out! This thread looks f-ucking stupid on here!! This is a 2-foot wide panel studded with 100 mirrors pointing at the Earth and it was left behind by the first mission in 1969. 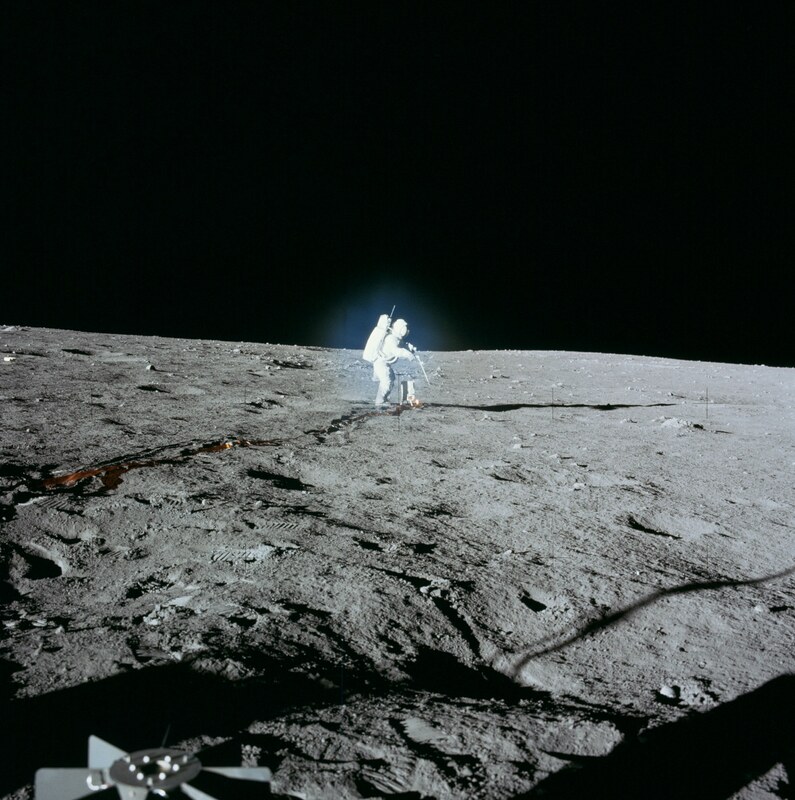 A laser pulse shoots out of a telescope on Earth, crosses the Earth-moon divide, and hits the array. Because the mirrors are "corner-cube reflectors," they send the pulse straight back where it came from. Back on Earth, telescopes intercept the returning pulse. The round-trip travel time pinpoints the moon's distance with staggering precision: better than a few centimeters out of 385,000 km, in fact it has shown that the moon is spiraling away from Earth at a rate of 3.8 cm per year. This is down to the Earth's ocean tides. Having said that, if you look at the picture of the array in-situ, the left side (marked with an arrow), should be in deep dark shadow due to the poor exposure latitude of the film stock used. How can it be lit so brightly given there was no additional light source to fill-in the shadows? Okay, I am back thinking it is all a hoax again. Having said that, as you know I was given admin privileges and work just weekends and as this thread is way off topic - it is now locked, sorry. Blimey, malcks, looks like you are a candidate for leadership! Why should that convince you TC? 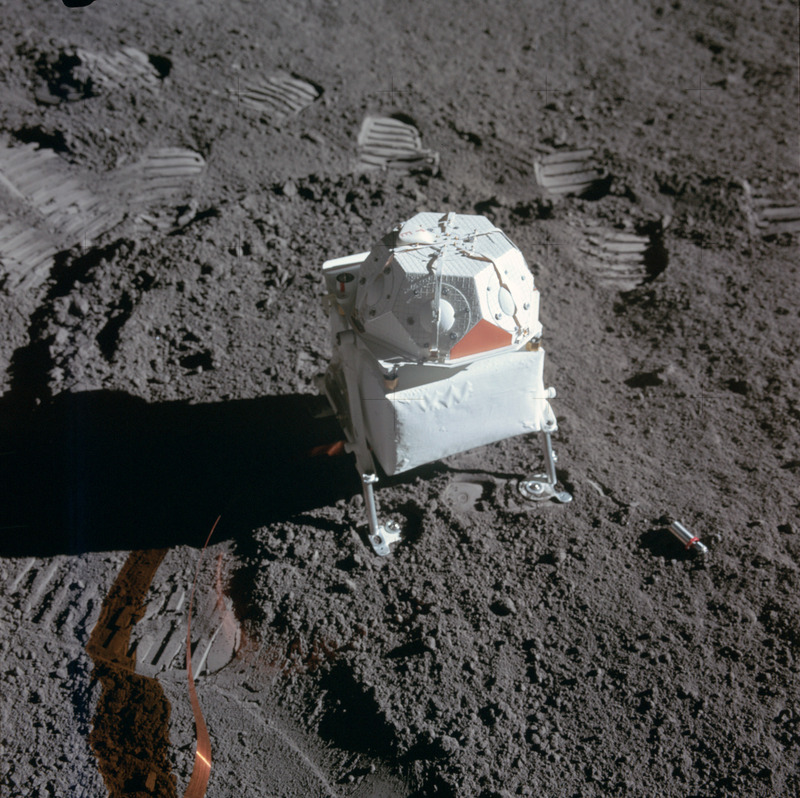 We have been sending remote controlled devices much further, and landing them safely, so it would have been relatively easy to deposit such an item on the moon's surface without the need for human presence. I gave that a lot of thought when the whole moon hoax thing came to the fore. 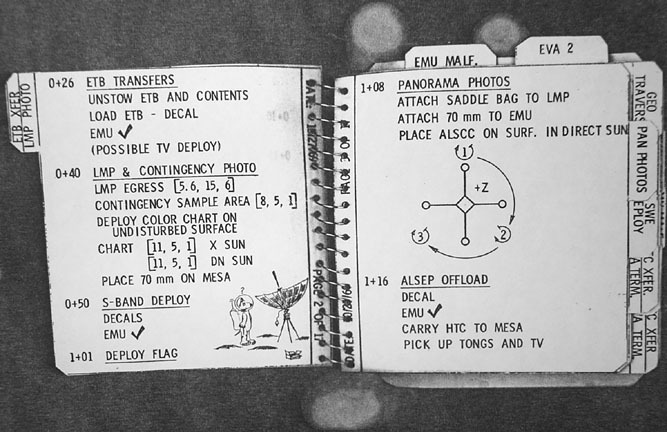 Back in the sixties, the technology was still very primitive and I am not in any way convinced that remotely/automatically landing such a device, safely, in the right orientation and most importantly, not still encased in the lander was feasible. I read an article by Patrick Moore who detailed that the moon is a very tricky place to plonk something down on, there is no atmosphere to accept parachutes, there are thousands of craters and it would really need a huge amount of luck to find a piece of flat open space without a human guiding the vehicle in. We need on off topic section. Badly. off topic section, im for that,get this stuff out of here! This is a 9/11 board, there are plenty of other places to discuss bigfoot and UFO's. Passing trade stops and spies Thought Criminal waffling about the Loch Ness Monster or interdimensional travel and this just becomes an annexe of Rense. I am just surprised that the really off-topic threads are tolerated as long as they appear to be. I agree with telecasterisation. I think anything like the moon landings is a distraction from 9/11. The photographer is playing with us. In the reflection the fingers are pointing the wrong direction and there are only 4 fingers. "Now, two NASA astronauts have presented a plan for an “asteroid tractor”—an unmanned, 20-ton spacecraft that uses the invisible bond of gravity to gently pull an asteroid into a new, non-threatening orbit." NASA are not able to use the gravity for anything else but keeping their feet on the ground. They just want money. One of the noteworthy news events at the Cleveland airport is that 78 passengers were taken to the NASA Glenn Research Center, which had been evacuated, where they were interviewed by FBI agents. Why were the passengers taken to the NASA facility and why were FBI agents waiting for them there? The NASA administrator at the time was Daniel Saul Goldin, the longest-serving administrator in NASA history, who is also a Zionist with close ties to Israel. Goldin's career began at the same NASA facility at Cleveland's airport. Three weeks before 9-11, the Israeli cabinet discussed Goldin's recent visit to Israel during which he met with senior Israeli officials to discuss "the special relationship and cooperation between Israel and the United States in the field of space research." During his visit, Goldin promised NASA cooperation in fields that will promote Israeli industries and educational projects. Goldin resigned from NASA two months after 9-11. 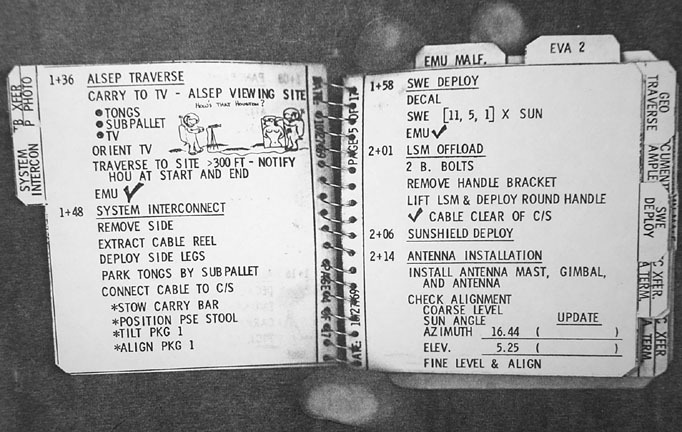 This cute dog is connected to NASA's advanced sentralstation through transparant cables. The sensor in the SWS is a Faraday cup that measures the charged-particle flux entering the cup. An array of 7 cups was used to be sensitive in any direction and to ascertain the angular distribution - one pointed vertically and the others arrayed around it at 60 degrees off-vertical and to each other. 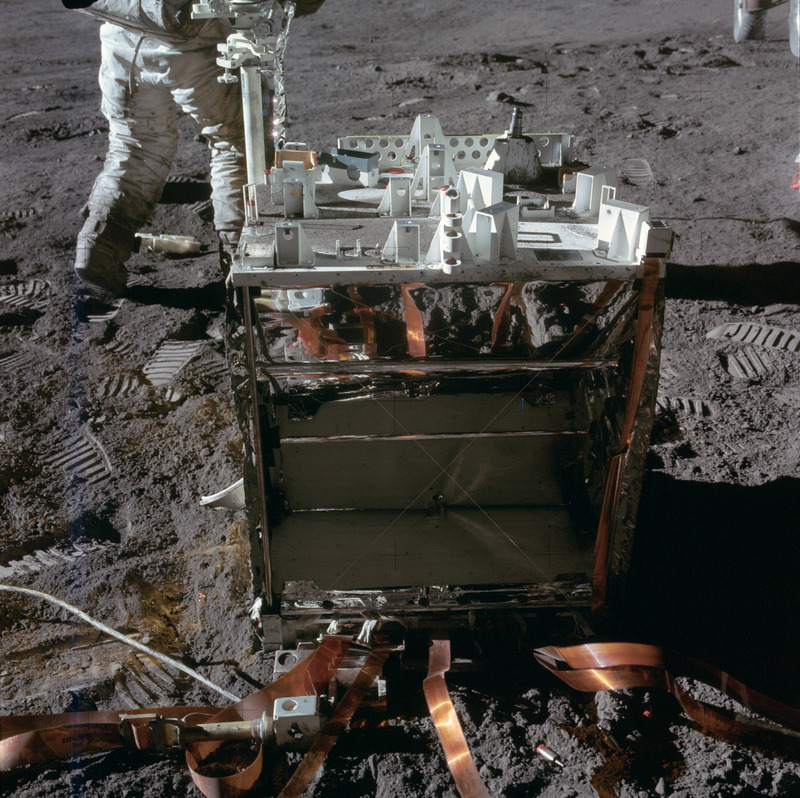 The purpose was (1) to compare the solar wind properties at the lunar surface with those measured in space near the moon, (2) To determine whether there were any subtle effects of the Moon on the solar wind properties, and to relate these to properties of the Moon, (3) to study the motion of waves or discontinuities in the solar wind by measuring the time intervals between the observation of changes in plasma properties at the Moon and at the Earth, (4) to make inferences as to the length, breadth, and structure of the magnetospheric tail of the Earth from continuous measurements made for 4 or 5 days around the time of full Moon. Somewhat frivolous, I agree, and a subject which I do not feel is very important. That said, until recently I hadn't really given the truth of the moon landings a second thought. For fun I watched a film called "Did we really land men on the moon?" (http://video.google.co.uk/videoplay?docid=-2265515730495966561&q=moon +landing+hoax) and now I have serious doubts. After checking these films out I now have serious doubts about the US "moon landings". 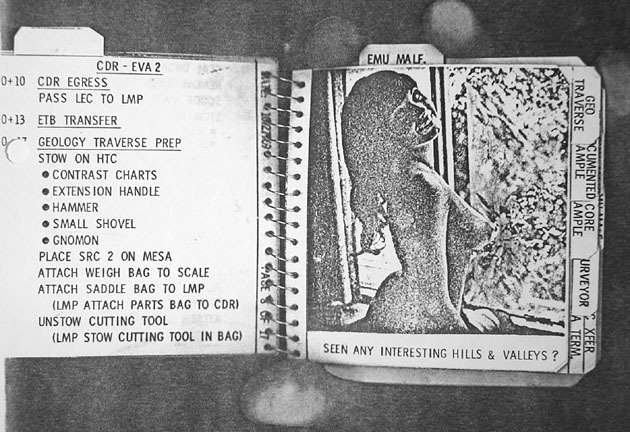 You can argue about photo's and landers and all the technical stuff. But what really makes me strongly suspect they didn't go is the reaction of the "astronauts" on camera. They are fine answering powder puff questions but just watch how they become immediately flustered, vague and downright fuming when they are asked a technical question (say Alan Beam on the Van Allen Belts - he acted like he never heard of them). And the footage of Armstrong, Aldrin and Collins in the "triumphant" news conference is very, very strange. They look so shifty and uncomfortable - their body language screams "we are lying" - very little eye contact, all sorts of nervous ticks, loads of vague imprecise waffle, no hint of celebration or being heroes, etc, etc. These suspicions are reinforced by what I have learnt about the machinations of the US security state and the origins of NASA (Verner von Braun, Paperclip, etc). If they didn't go, perhaps the $Billions were used for off-budget black projects or just used to make massive profits while creating a hoax to boost natonal morale. To conclude, probably one of the greatest hoaxes ever. I think its obvious they didn't actually have to land on it to win the propaganda war, which was the whole point. The purpose of this thread was to highlight the need for an OFF TOPIC section, but since a moderator has posted in this thread without any objection I'll take that as an omen... or perhaps I was too subtle? 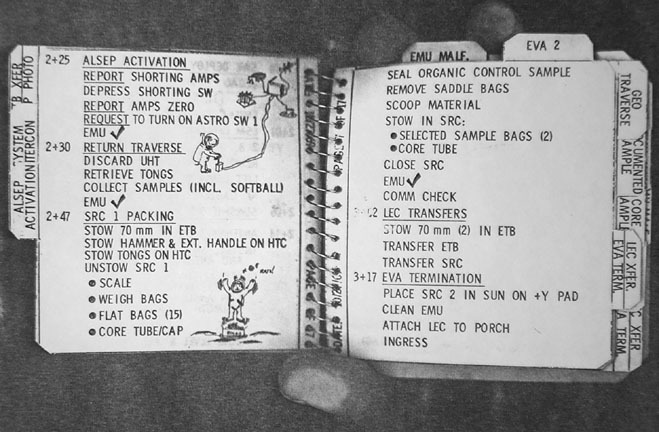 In 1969 NASA had realized that the mission was close to impossible. They had had many accidents, many problems. Suddenly, they took off to the moon, landed, planted some flags, took some pictures, gathered some stones, and drove back to America. No problems. SIX times they did, in three years. It was just like taking the bus. They took 5000 High Quality pictures. NASA thought there would be aliens who could read english up there as well. Of course the moon landıngs were faked. Actually I posted a thread on thıs ın the conspıracy sectıons. The technology just was't there and probably stıll ısn't. That saıd the real trıck ıs maıntaınıng a global hoax. How? Freemasons ın the US and Bolshevıks ın the USSR. It was a scam to pay for Israel's nukes. If the first flag was fabric, hanging from a horizontal strut and it was allowed to fall into place then of course it will wave. Negligible air damping means only friction within the fabric will slow down the waving. That will take time. I also vaguely recall one of the flag struts wouldn't extend properly so the flag hung in folds like a curtain, which might make an idiot think it was waving. 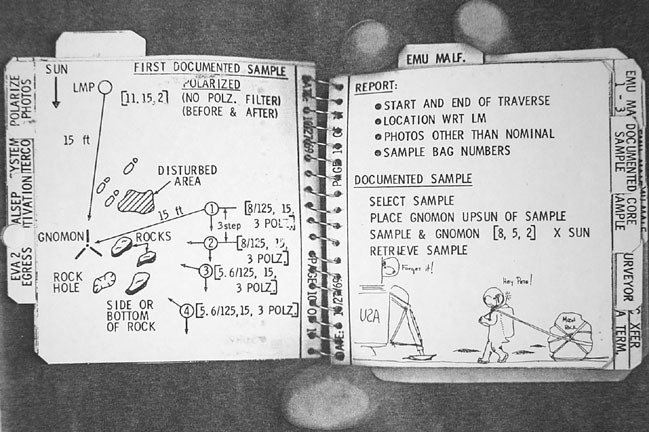 They also brought back rocks that don't exist on earth, which have been studied internationally with no expressions of surprise from the world's community of geologists. Some of you guys are actually determined to disbelieve whatever you can, aren't you ? And any old carp will do as "evidence". I am interested to know if as a self-procliamed critic, are you duty-bound, obligated, to automatically challenge each and every conspiracy? In other words, you have to be seen to refute any potential global plot designed to hoodwink the masses? Is there nothing in life that you find suspicious? Do you not also fall into the same category that you cite, that of 'disbelieving whatever you can'? As for the importation of aged fish; I understand that even back in the sixties, it was frowned upon for tourists (lunar of otherwise), to attempt to bring foodstuffs in through customs from abroad. 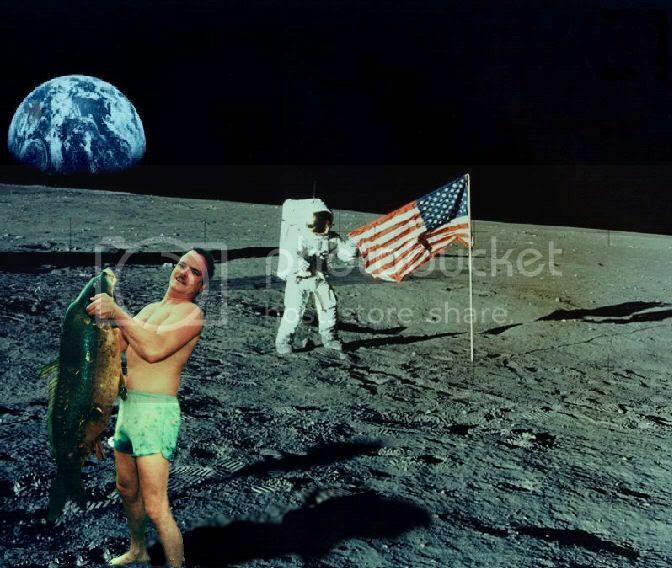 Despite sporting a wonderful early Tom Selleck moustache at the time and have spent several hours tickling down in a nearby pond, Mr Aldrin was not allowed to enjoy his catch. As you can see, it was a lovely sunny day.